Cold-calling potential clients has become increasingly ineffective. Candidates aren’t as active on job boards as they once were. These are just a couple of the market challenges that recruitment agency owners are telling us they have had to adapt to. 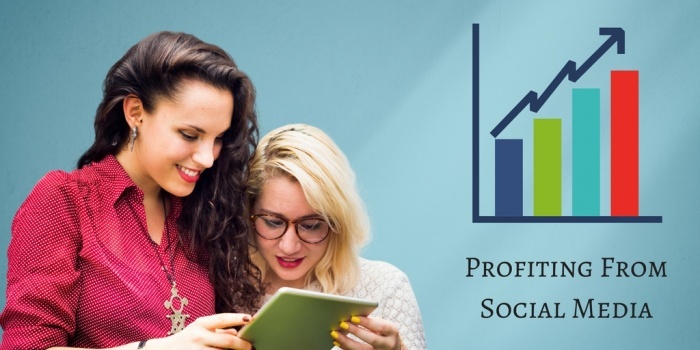 Increasing numbers are now turning to social media as a means of strengthening their recruitment businesses and exploiting the buoyant hiring market that exists across much of the world. But why are they doing this and should you act now, before your competitors build up an insurmountable lead? We’re increasingly hearing from recruitment business owners that potential clients have been looking at their social media presence prior to - and even during - sales meetings. As you’re well aware, corporates have increasingly been using social channels to make direct hires – and given the success they’ve been having, it’s alarming to see a recruitment agency that’s not adequately investing in its own social media presence. What’s most troubling about this is the negative impact it’s having on your business that you never even get to hear about. If it comes up during a sales meeting, you at least have the opportunity to try and reverse the negative impression that’s been created by your lamentable social presence. But what about the potential clients who decide not to call you or to act on your meeting request, because they’ve been underwhelmed by your social media presence? You’ve long since accepted that a professional looking website is critical for precisely this reason. It’s dangerous to assume that the same isn’t now true of your social media. This is just the tip of the iceberg, though, when it comes to the impact social media can have on your business development results. Invest this coming year in getting your lead funnel perfected and social media could become a reliable source of new leads and enquiries for your business. Most recruitment business owners wrongly assume this’ll happen in the form of “the phone ringing” more frequently. The reality is rather different. The overwhelming majority of business wins from social media will come from you having sparked conversations with potential clients and then steering that conversation in the direction of you booking in a call, or them coming to your next networking event. This takes time, of course, which in itself is one reason why many recruitment agencies have tried and failed to get business results from social media. But picture for a moment the scenario in which your recruiters have new warm leads to talk to each month. Then add the favorable impact of all your other contacts being more regularly exposed to your agency’s brand – and having more frequent interactions with your team. It isn’t hard to see how this could positively impact the volume of client work you generate from both current and new client leads. You just need to be prepared to invest in something for the medium-term success of your business, rather than being fixated on overnight results. Recruiters in many industries are telling us that the effectiveness of job boards is in decline. Fewer candidates are using them – and clients are increasingly likely to have already received an application from the active candidates that they produce. Not good news when it comes to safeguarding your placement fees. Agencies building relationships with passive candidates are therefore finding themselves at a distinct advantage. They aren’t in the “race to submit” that characterises much of the recruitment industry, instead working with candidates who are far less likely to be being represented by other agencies or to have already applied to their clients direct. You probably seek to generate lots of candidate referrals in your business for precisely this reason. The resulting candidate registrations are far more valuable to the business. But you’re also missing out if you’re not building relationships with candidates at scale on social media. Similarly you’re missing out if you’re not using social media to re-engage with your existing candidate database. The key thing is for this to be done at the company level – where the candidate relationships formed reside with the company… rather than at the individual recruiter level, where you then stand to lose those candidates as soon as a recruiter walks out the door. This takes both skill and adequate resource, but need only cost a fraction of what you’d pay to hire a full-time social media manager. So why haven’t you investigated this fully in your business yet? There are two worrying angles when we think about competitor activity on social media. The first is that your competitors may already be leveraging social media effectively and generating client wins or candidate wins for their business. Since lots of social media activity happens “below the radar”, it’s very possible that your competitors have invested in this without you even realising – and are now reaping the rewards, before you’ve even had the chance to react. Across the many sectors where we serve clients, it’s a rarity for us to find a level playing field where none of the competitors have yet invested in social media. Assume you are now behind your competitors – and then be pleasantly surprised should we find you are not! An even more compelling reason to act on this today is because there are first-mover advantages on social media. A competitor that builds up a sizeable and engaged niche audience will become ever more expensive to catch up. There’s therefore a strong argument for leading the way in your niche, rather than following the pack. But you must act soon before more and more of the industry wakes up to the opportunity here. If you’re like many recruitment businesses we speak with, one reason you’ve not done more with social media is probably a lack confidence in knowing what to do – and uncertainty about the resources you need to commit to get results. If that’s the case for you and your business, you’re very welcome to tune in for my regular group calls where we cover these exact topics. Just check on the timings and register for a place here. Good luck with profiting from social media in your own business over the coming year - and if there's any particular angle you need help with, do tweet me on @tonyrestell or chat to us live via the chat icon bottom right of this screen.